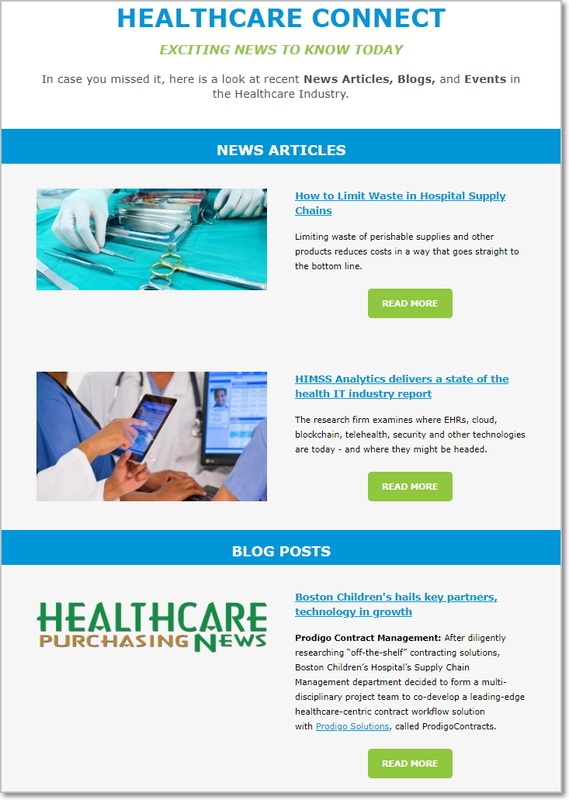 Prodigo Solutions weekly "Healthcare Connect" email newsletter provides the late breaking news, articles, and events that matter to health care supply chain and finance leaders. Each weekly email newsletter includes; the most recent thought leadership articles and blogs, valuable whitepaper content, and upcoming industry events. Click Here to view previous week's newsletters!